Thai Visa Express is a professional immigration consultants who are always ready to assist you with your Thai Visa UK application in Thailand. We use our extensive immigration knowledge on Thai visa requirements in every application to provide satisfying results. Our visa agency offers a no-win-no fee service. You will receive expert advice from our experienced immigration consultants. Thai Visa Express offers personal and professional consultancy services for clients who need assistance when applying for a Thai Visa Australia or a Thai visa UK application for their Thai partners. Composed of professional consultants, our team has extensive experience in immigration law. We provide comprehensive services that suit the needs of our clients. Thai Visa Express offers accurate advice and efficient services, making us one of the most trusted companies in the industry. Call us today from the UK – 0208-1338-059 or call our Thailand helpline 080-102-2328 for a free visa assessment today. All our visa applications are taken on a no win no professional fees basis call us today. Thai Visa express has 12 years’ combined experience managing a range of Australian visa applications. From tourist visas to partner visas and we can also help with prospective marriage visas, we know what the Department of Immigration requires and we make sure that your application will meet these requirements. When it comes to lodging an Australian visa application, we understand that the process can seem daunting and complex. Thai Visa Express guides you through the process of applying for an Australian visa for your Thai girlfriend. Our migration agents will also help you apply for UK settlement/spouse visa for your wife or fiancee and proposed civil partner visa. Further information about Australian visa applications can be found here at the official immigration & visas department or browse our website. We also assist clients From Australia to apply for any family migration visas to Australia & have extensive Australian Visa application which includes the preparation & submission of any Australian partner visas application or perhaps you need an Australian visitors visa for a Thai citizen. As of 26 March 2014 the British passport office decided to outsource British passport applications in Thailand. All applications have to be submitted in person at VFS global partners in Bangkok . But the good news is Thai Visa Express Thailand can assist with UK passport applications in Thailand for a service fee of just 5000 Thai Baht this includes completing the forms, translations if required, submission & collection of your new UK passport. If you live in another province you can simply post your application to our Pattaya branch & we we will do the rest contact us for further details on how to renew a British passport in Thailand. Personalised Approach For Your Thai Girlfriend Visa ! At Thai Visa Express, we understand that every client has unique needs. By providing personalised assistance, we aim to meet your requirements and help you reach your goals in applying for a visa to Australia or a visa to the United Kingdom. Further information about Australian visas can be found at this website Australian Visa Express our sister site & on other pages on this website which goes into greater detail about family migration to Australia. Established in 2005 we have over 10 years immigration experience all our United kingdom visa applications & Australian visa applications are taken on a no win no agents fees basis, browse our website which gives accurate guidance on how to get a visa for Thai girlfriend or Thai wife, dependent children or relatives. We are registered immigration consultants & the only visa agent in Pattaya who are qualified to give immigration advice & assistance. Why compromise when you can employ the best visa agent in Pattaya Thailand at a fraction of the cost of a travel agent who holds no formal qualifications to assist with visa applications to the UK or Australia call today. Professional Thailand Visa service & assistance call today. Our Thai visa service is the name you can trust when it comes to Thai visa applications. We know that there is an array of visas available to foreign nationals wishing to visit or live in the country; we are here to assist you every step of the way. Our consultants will help you apply for the right visa that fits into your purposes.Whether you need a Retirement visa or a visa to enter the country or extend your ongoing stay, you can rely on our experience and expertise in immigration laws to make the application process a trouble-free experience. We can even assist with UK passport renewals, extensions of stay , translation service, express marriage services & much more. Thai Visa Express assists clients in choosing the right type of visa for their partners in Thailand. Our team of experienced immigration consultants considers your immigration goals and unique circumstances when providing professional advice. We value honesty and integrity in our work ethics & work within our remit with all visa applications , if we cannot help you we will forward you to somebody that can assist you with your Thai visa application. Thai Visa Express offers cost-effective solutions to applying for an Australian or UK visa. We can help secure a UK tourist visa for your Thai girlfriend or bring her to Australia or the United Kingdom through settlement visa. Our team understands that applying for any type of visa can be complicated and time-consuming. Thai Visa Express aims to make the process easier through our reliable services. Our knowledge in UK immigration law helps us provide accurate advice, which guides our clients in the application process. 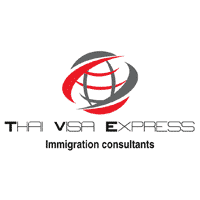 As a leading UK visa consultancy firm, Thai Visa Express is committed to providing excellent services. As we are up-to-date with the latest developments in immigration law, you can be sure to receive expert assistance from our immigration consultants. 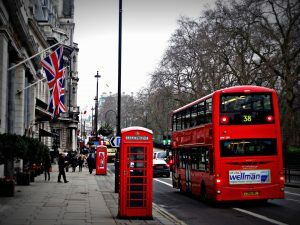 You will find further useful information by visiting our own visa forum for general discussion about visa applications facts & general information about visa applications to the UK & Australia. If you require expert help with any United Kingdom visa application in Thailand contact us today. We are licensed in the UK to give immigration advice.